New leaked emails from the inbox of Egyptian-Canadian journalist Mohamed Fahmy indicate that Peter Greste, his former Australian colleague and cellmate, is preparing to sue the journalists’ former employer: the Qatari-based Al Jazeera Media Network. The two award-winning journalists were wrongfully convicted in Egypt in 2014 for fabricating news and belonging to the Muslim Brotherhood group, which the Egyptian government has designated as a terrorist organization. Many journalists and organizations dedicated to press freedoms considered the trial—where the journalists received sentences of seven years each—a travesty of justice. Both journalists had been openly critical of Egypt’s clampdown on the press and the security sweep that left thousands of dissidents and many local journalists jailed in the aftermath of Egypt’s revolution and subsequent changes in government. From the outset, many analysts and prominent journalists said that the case likely had little to do with the work of the journalists themselves, and instead served as a manifestation of the vicious ongoing dispute between the current Egyptian government and the state of Qatar, which owns Al Jazeera and has been a major funder and backer of his Islamist nemesis the Muslim Brotherhood group designated as terrorists in Egypt, Russia, Syria, Bahrain, Saudi Arabic and the United Arab Emirates. Egypt has since increased its pressure on Qatar by boycotting the country directly as one of the ‘quartet’ of Arab states to do so in June 2017. The Saudi-led coalition alleged that Qatar supported and financed terrorist groups like Al Qaeda and the Muslim Brotherhood, listing demands in order to end the ongoing blockade that included including ending ‘support for terrorism,’ but also included shutting down the state-funded Al Jazeera media network, in part because of their hosting of several leaders of terrorist groups on its programs, including Yusuf al-Qaradawi an Egyptian Islamic theologian based in Doha, Qatar who once had his own program on Al Jazeera Arabic and endorsed suicide bombings on live television. Abu Muhammad al-Golani., the leader of Al Nusra Front, the former affiliate of Al Qaeda in Syria was interviewed and praised twice on Al Jazeera too. Israel followed shortly with similar demands for the closure of Al Jazeera, and a number of other countries withdrew or downgraded diplomatic ties as well. Consequently, the trial of Fahmy and Greste represent one of the first steps in an ever-larger interest in the region to shutting down Al Jazeera. Initially, however, Fahmy and Greste had diverging paths in managing their defense cases with respect to their former employer. Fahmy openly criticized Al Jazeera during the trial, refusing the legal counsel the network hired, and turned against his employer after he gathered information in prison from students affiliated with the Brotherhood who detailed their longtime relationship with Al Jazeera, which resulted in the prosecution adding them to the charge sheetwith the journalists---a case dubbed as the Marriott Cell by the Egyptian general prosecutor. These students, charged in the same trial, confessed to the prosecution that some of them had received funds for Al Jazeera video content they had filmed. Moreover, the interrogation transcripts indicated that the network had systematically cooperated with members of the group to work for them across Egypt—information Fahmy obtained and read for the first time while he was held in prison during his trial. 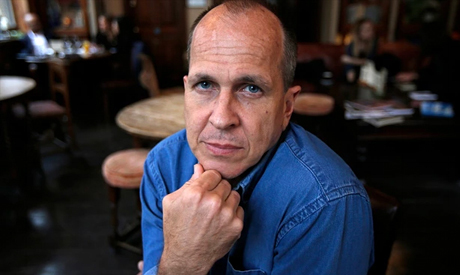 In contrast, Greste had been deported to Australia in January 2015, remaining on trial in absentia but physically outside of the Egyptian judicial system. Greste’s Australian citizenship allowed him freedom of movement, whereas Fahmy was released from prison, but put on a retrial and was banned from travelling outside of Egypt. While Fahmy was ultimately pardoned after his first conviction and allowed to return to Canada in September 2015, when prominent British human rights lawyer Amal Clooney took on his case. In May 2015, flanked by his Canadian lawyers, Fahmy announced in a press conference in Cairo that he had filed a lawsuit in the British Columbia Supreme Court against Al Jazeera demanding the network pay $100 million in punitive and remedial damages for its “negligence” which he believes had contributed to his conviction. Al Jazeera has challenged the jurisdiction of the Canadian courts over the case and has called for the litigation to take place in Qatar instead. In response, prominent legal experts, including former Justice Minister Najeeb Al Nuaimi, have submitted opinions that the Qatari courts are not independent and cannot adjudicate the case on a neutral basis. Al Nuaimi himself is currently banned from leaving Qatar by the country’s Attorney General for unspecified reasons. Both Fahmy and Greste have written books about their remarkable experiences during this period and continue to advocate for press freedom worldwide. Yet until recently, it was unconfirmed whether or not Greste shared Fahmy’s views that their former employer should be held legally responsible for their arrest and detention. Fahmy’s hacked emails—which he alleges Qatar obtained illegally—reveal that last June, Greste and his legal team in Australia acquired electronic files from Fahmy’s lawyers containing documents, witness statements, affidavits, and related material that had been prepared for the lawsuit submitted in Canada. In a phone interview, Fahmy blamed Qatar and Al Jazeera for the hacks and explained how they had used advanced “phishing” techniques to access his email—an illegal breach of privacy whose process he vividly describes in his column in the Toronto Star. Fahmy added that Greste had agreed with Fahmy that Al Jazeera had committed a trend of grave systematic violations and breaches of the law, while keeping its reporters in the dark during their initial shared stay in an Egyptian cell in 2013. Nevertheless, Greste only recently chose to obtain legal counsel and has been silent about potential court proceedings, in contrast to Fahmy. Greste’s decision to move forward with legal proceedings would add to increasing legal action against the Qatari channel, both privately and at the state level. Most recently, Al Jazeera has been under hearings in the United States after a group of lawmakers called on Attorney General Jeff Sessions to investigate how the news outlet is connected to the Qatari government. The current court case is reviewing whether Al Jazeera should register with the Justice Department a “foreign agent” under the Foreign Registration ACT (FARA). All of these allegations, along with the broader regional state boycott of the channel, are predicated on the claim that the Qatari government controls the direction of Al Jazeera’s editorial line, and that the widely read news organization is its sponsored mouthpiece and foreign policy tool.